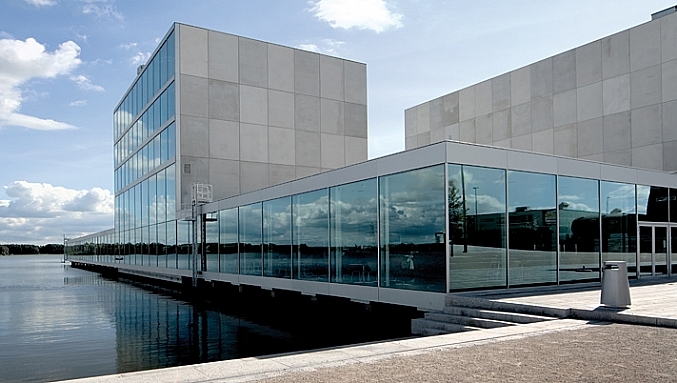 De Kunstlinie arts centre, Almere (SANAA). In general, lightweight construction is considered to be favourable due to the savings in construction materials. Less material means less 'embodied energy' in the building. Conversely, heavier construction is advantageous for the heating and cooling of the building. The 'operational energy' is lower and thus a relatively larger amount of embodied energy is required to compensate or even to level out. Moreover, the total operational energy of a building consists of only 30% of energy used for heating and cooling. Only this portion is influenced by the (thermal) mass of the building. Energy saving due to heavier structures can therefore never amount to more than this 30%.